Posted April 30, 2018 by Guest Post & filed under Pets, Travel. If you are planning to take a road trip, to travel by car, you may be debating whether you should take your dog along. 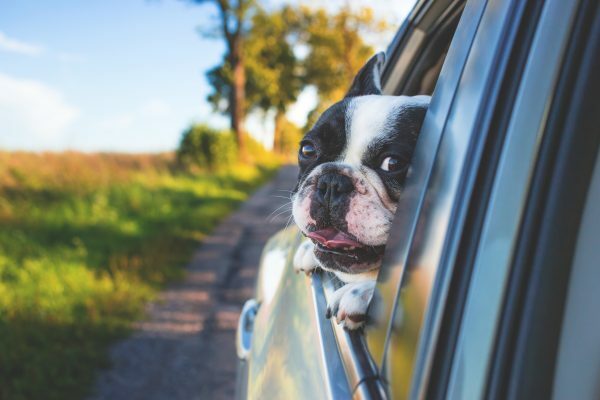 If you make the decision to take your dog along with you on a road trip, there are nine tips that you need to bear in mind for this adventure. You don’t need to overdo when it comes to packing food. The supply mentioned on this list is sufficient. You can pick up food when you reach your destination. The only caveat is if your pooch has some sort of specialized dietary needs. 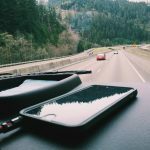 You don’t need to be a proverbial road warrior and drive an ungodly number of hours a day. In the end, that’s neither good for you or your dog. Plan for a day of travel of about eight hours, but no more. Stop every couple of hours to give your pooch a break for a walk, a drink of water, and to potty if necessary. Make sure you book a hotel that is pet friendly. Don’t rely on information contained on a website. 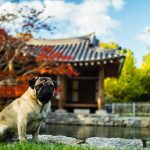 Call a specific hotel property directly and confirm that the hotel is pet friendly. You may want to take some time to shop around by making direct calls to get the best deal possible. When the car is in motion, make sure your dog is restrained. There are a number of safe options available in this day and age when it comes to restraining a dog while motoring. This can include a kennel or cage or a pet safety harness. You absolutely do not want your pooch free and about while the car is in motion. That is very dangerous for you and your dog. Odds are you won’t have an emergency medical issue with your dog while on the road. But, you are wise to be prepared. Consider buying pet insurance in the event of an unexpected illness or injury. With little effort, and a bit of shopping around, you should be able to find a pet insurance policy, with solid coverage at a good price. 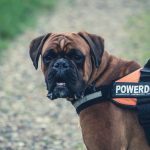 Take full advantage of what the digital world has to offer when it comes to support for your dog. 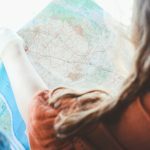 For example, you can identify emergency veterinary hospitals at your final destination or at locations where you may be stopping during your road trip. Once again, you and your pooch are best served when you are proactive and plan for an emergency that you hope never comes. Schedule your own dining times at non-peak hours. For example, eat mid-morning or late afternoon. By doing so, you will hit restaurants at times when they are not particularly busy. .
You can find pet friendly bistros and cafes. These include restaurants that might permit your pet to join you, perhaps dining on an outdo patio with your pooch. There will be more flexibility in this regard when an establishment is not busy. Do your best to ensure that your pet is well behaved during all phases of your road trip. For example, when checking to at the hotel, make sure your pooch is behaving nicely. By doing this, you make it easier on other people who travel with your pets. You’re paying it forward. You will leave businesses, including a hotel, with a positive feeling about having pets on their properties. You really will benefit all other pet lovers who take their furry loved ones on the road. Keep your smartphone or other type of camera fully charged. Take photos. Share your road trip with your dog with friends and family. With all the less than pleasant stuff on social media, these types of positive images are likely to be welcome. Plus, you’ll be happy to have these memories into the future.